While I'm holding out hope that we'll hit a stretch goal or two in the final hours, the game already hit its minimum goal last Saturday. At that very moment Harm Other became a certainty. I magically turned into a game developer, much like the part in Pinocchio where the wooden puppet Pinocchio becomes a real game developer. Here is the sum of my vast knowledge about the art of making games. The Game Developer's Conference is a really big event. Just about everyone who covers the industry will be focused on the event, which means they won't be sitting around waiting to report on your weird niche text-and-two-buttons game. This is a really bad time to announce your game via press release to the news/tips inbox of every video game publication. PAX East is a really big event. Just about everyone who covers the industry will be focused on pretending to be wrestlers and yelling incoherently for the fifth year in a row, which means they won't be sitting around waiting to report on your weird niche text-and-two-buttons game. This is a really bad time to send emails about your game to specific writers at video game publications, because no one has written a word about your game or even replied to that first round of emails. The BAFTAs and Rezzed are really big events. 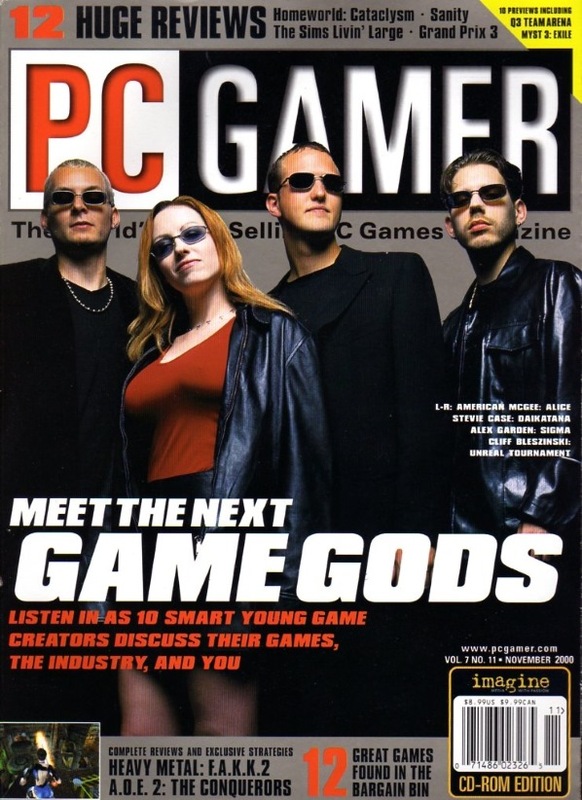 Just about everyone who covers the industry will be focused on nice tuxedos and rezzing, which means they won't be sitting around waiting to report on your weird niche text-and-two-buttons game. This is... wow I have miserable timing. Holy hell. 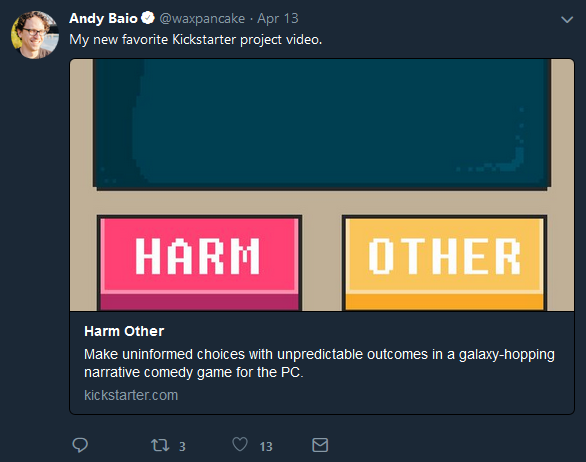 After announcing my game I reached out to a number of developers, sharing Harm Other with them like a five year old awkwardly shoving a finger painting into the face of a visitor: Jay Tholen (Dropsy, Hypnospace Outlaw), Steve Gaynor (Gone Home, Tacoma), Zack Johnson (West of Loathing), Zoe Quinn (Project Tingler), Chris Avellone (Every game. I'm pretty sure he writes all the games), Supergiant Games, and Failbetter Games. Each and every one got back to me. All of them took the time to check out the game, and provided encouraging words. Some even backed the game and spread the word, which was an enormous help. You should buy all of their games. Actually, not every developer was so generous. Cliffy B. never got back to me. To be fair, I didn't email him. But he should have sensed my time of need via omnipotence. He is, after all, a Game God as we established in the image above. Yet the man never deigned to reach out to me. In spite of this extremely rude snub, I wish him the best of luck with Completely Untextured Fortnite Battlegrounds. That's everything I know about game development!